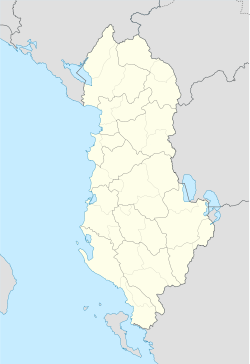 Malësi e Madhe is a municipality in Shkodër County, northwestern Albania. It was created in 2015 by the merger of the former municipalities Gruemirë, Kastrat, Kelmend, Koplik, Qendër and Shkrel. The seat of the municipality is the town Koplik. The total population is 30,823 (2011 census), in a total area of 951.01 km2. It is coterminous with the former Malësi e Madhe District. This article about a specific location in Shkodër County, Albania, is a stub. You can help Wikipedia by expanding it.